The debate we've been having all week is whether Alastair Cook is England's greatest ever batsman. Some would argue that cricket is about entertainment and he himself has said that he's not that pleasing on the eye, he grinds out a score and you probably wouldn't pay money to worth him bat day in, day out for another 161 Cook Test matches! You speak to the likes of Michael Holding who would name David Gower, Graham Gooch and Kevin Pietersen, Bumble has Pietersen at the top of his list because they put bums on seats. I'm afraid I'm a little bit more, "who wins you Test matches? Who gets you runs when it counts? Who gets you difficult runs?" He's batted at the top of the order against the Duke ball. In this series, there have been two fifties by an opener, on either side, and they have both gone to Cook. So for me, it is about contributions to winning games and I think Cook has done that in abundance. 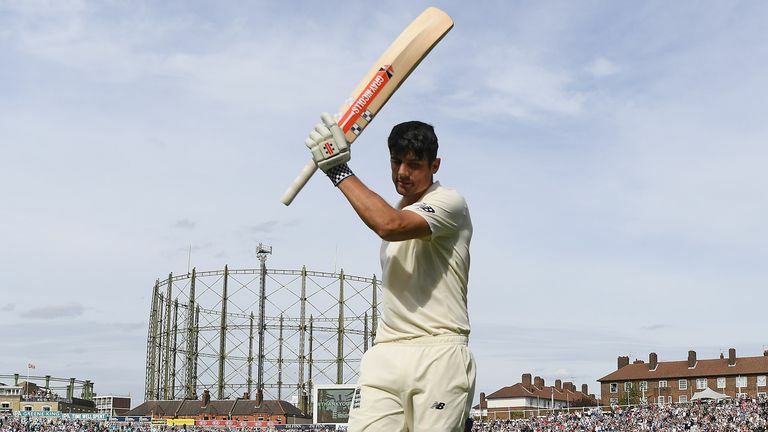 The reception from the crowd - both when he reached his hundred and then as he walked off - will have meant a lot to him, emotionally you remember the last time that you're walking off and what a place to do it as well, at The Oval. He ground away in both innings, he wasn't at his fluent best in the first innings or to start his second but that won't bother him. He would have hated to have gone out with two low scores. They often say, it's not until someone goes that you realise how important they are. But actually with Cook, while he was out there on Sunday watching Jennings get out again, I think it has hit home. When you're trying to select a side for Sri Lanka it's blatantly obvious how important Cook is well before he goes! He's a fantastic player of spin and England are going to a country where it spins from ball one. Now in Sri Lanka, they might not be looking for one new opener, they're probably looking for two. For me, it was a little bit of relief when I was playing my final Test match. Luckily I ended with a hundred but there was a lot of relief in there. Cook mentioned it on interview the other day, the one thing he won't miss is the stress and strains of it. He's said that to get the runs he's got, he's had to work and think for every single minute, he's not a natural run scorer which is odd for someone who's got 12,000-plus Test match runs. He's had to grind out scores and he's basically sick and tired of the grinding, he doesn't want to grind anymore. This week has shown that it isn't that Alastair Cook can't do it anymore, it's whether he really wants to. Does he really want to go to the well again and again and again? He's come to the conclusion that he doesn't want to do that. I don't blame him to be honest, 161 Test matches, 159 in a row, takes it out of you. The stats are amazing but the most important thing, and the reason he got the reception he did when he walked off, is not the stats but is the ambassador he's been for the sport and people have enjoyed the way he's coped with the ups and downs of being an international player, being an England captain. Throughout all of that he kept his dignity, through good times and bad. His legacy will be that whenever anyone gets a hundred, we'll put a list of how many hundreds Joe Root has got for example, and who will be at the top of that? Alastair Cook. When somebody approaches 100 Test matches, we'll put a list up and he'll be top of that. A list of who has taken the most catches, he'll be top again. Any time we put up any stat, Cook will be at the top. There will be a legacy statistically but actually the legacy will be about Cook the person. More importantly, if you look at his team-mates and some of the things the team have said about him and some of the video stuff they've done, he's an incredibly popular member of the team. 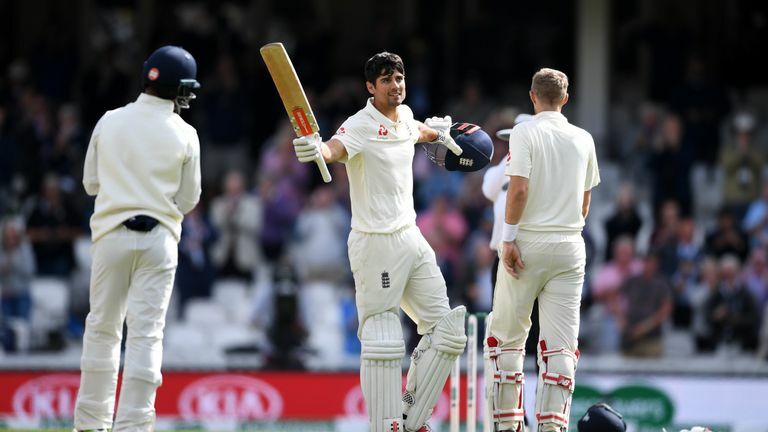 Sometimes you have great players who are just passing through a team and sometimes you have great team men who are not contributing that much in terms of runs and wickets but Cook has managed to do both brilliantly. Watch day five of the fifth Test between England and India from 10.30am, Tuesday on Sky Sports Cricket.